Deciding whether or not you should declare bankruptcy isn’t easy. While bankruptcy may tarnish your credit report, it is temporary compared to the damage of having outstanding debts. But, Chapter 13 is not for everyone. If you are considering Chapter 13 bankruptcy, you will want to first consider the pros and cons. Then, consult an attorney to make sure you qualify. • Time is on your side. You are given more time to pay your debts. The trustee is often more flexible and allows you to catch up on the payments easier than the creditor would. Also, once you have fulfilled your obligations under Chapter 13, creditors cannot come after you to pay any additional amounts. • You could save your home. With Chapter 13, there’s a chance you can keep your home. If you are facing foreclosure, then you may be able to keep that property and catch up on the payments. And, as long as you pay through the payment plan, the bank cannot attempt to foreclose the home. • It doesn’t hurt your credit as much. You will have Chapter 13 on your record, but some creditors look at that as a good thing. Because Chapter 13 is a payment plan, it shows creditors that you were willing to fulfill your debt obligations, even if it was court ordered. • You’ll rebuild your credit faster. While under Chapter 13, you can file and get on the payment plan faster than Chapter 7, which means you can rebuild your credit quicker, too. • Taxes may be included. You may be able to roll tax debt and possibly even student loans into your Chapter 13 payment plan, which is something you cannot do with Chapter 7. • You still have to pay student loans and tax debts. • You will have difficulty obtaining new credit while under the payment plan. • You will have debts longer than a fresh slate with Chapter 7. • You may lose all credit cards. • You are required to pay under the payment plan, which can be as long as five years, depending on the amount of debt you are trying to discharge. 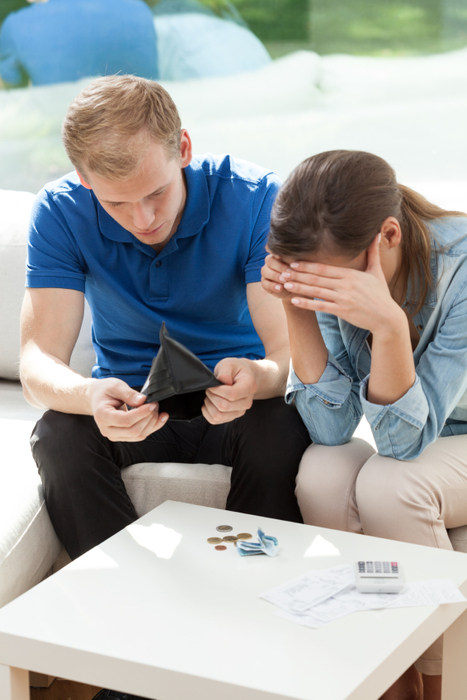 It can be difficult to decide whether or not bankruptcy is right for you. Rather than assume Chapter 13 is right, you will want to consult a bankruptcy attorney. An attorney can assess your debts and advise you as to which is right for you. Contact Bankruptcy attorney in Florida at the Law Office of Kelley & Fulton today for a free consultation, serving in West Palm Beach, Boynton Beach, Delray Beach, Palm Beach Gardens, Jupiter & throughout South Florida. We can assess your situation and recommend the proper course of action. Call now at 561-491-1200.